You spent months saving. You took time off work. You stayed up all night packing to make sure you had everything you needed to fly out before sunrise. Then you get to the airport, and you hear the announcement: The airline overbooked your flight, and the gate agents standing between you and vacation bliss are looking for volunteers to give up their seats. Nope. Not interested. With your vacation moments from potential ruin, your first thought is probably: Why on earth would an airline sell more tickets than seats? The answer is actually pretty simple. On average, 5-15% of travelers who paid for a ticket on your flight won’t show up. Airlines oversell tickets in hopes of keeping flights full, even if there are no-shows. So why do they need volunteers to give up seats? Well, the statistics for no-shows aren’t perfect. Sometimes, more people show up than the airline anticipates. Unfortunately, there is no foolproof way to guarantee you won’t get bumped if the airline overbooked your flight. That’s because when you purchase a plane ticket, you are actually paying for the journey itself not a particular seat on a particular flight, according to TechCrunch. And if no one volunteers to give up their seat, airline employees must decide who to bump. Experts at The Wall Street Journal have some suggestions on how you can make it less likely you’ll be the one the airline bumps. 1. Choose a seat assignment when you book your flight. If you already have an assigned seat, chances are you’ll get to keep it when boarding time comes. Some airlines charge a fee to do this, but it could be well worth it to avoid getting bumped. 2. Check in early. 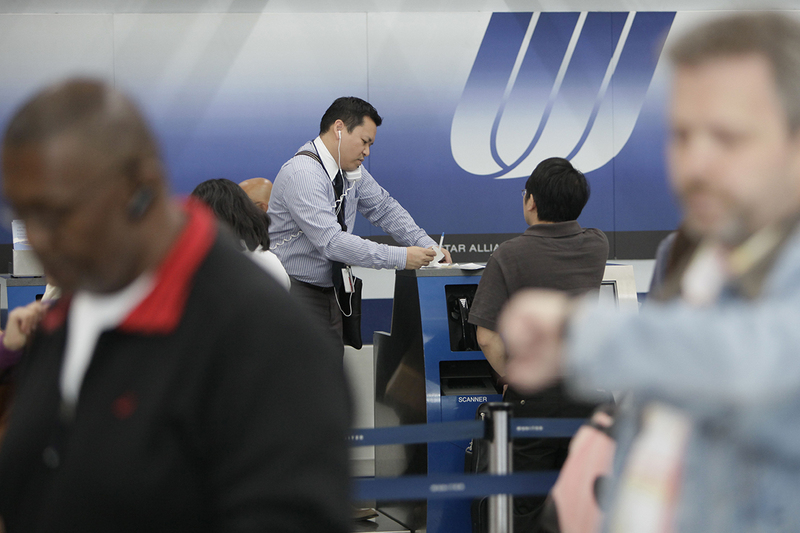 Some airlines use check-in times to determine who to cut. The last to check in is often the first the airline bumps. Although these tips will improve your chances, you may still get bumped on a seriously overbooked flight. Airlines are often willing to pay up for the inconveniences that come with overbooked flight delays. By now, you’ve probably heard how one family racked up $11,000 in flight vouchers during a particularly heinous weekend of weather-related delays that impacted more than 150 Delta Airlines flights. While the airline doesn’t owe you anything for minor delays or cancellations of domestic flights, they can be liberal with freebies in the name of good customer service. If you volunteer to give up your seat on an overbooked flight, you could ask for flight vouchers, airline miles, meal vouchers for airport restaurants or lounge passes, and the airlines are likely to pony up to keep you happy. As a bonus, if you paid for the trip with a credit card and experience major delays that require unplanned overnight stays, your credit card company may help pay for the extra expenses that arise. For example, those who have a Chase Sapphire Preferred could get up to $500 reimbursed per ticket to cover the cost of meals and lodging if an airline delays a flight more than 12 hours. In many cases, if the airline bumps you involuntarily, you have some rights that could help even more. While an airline doesn’t owe you anything if it bumps you from an overbooked flight but still gets you to your destination within an hour of your originally scheduled time, it may have to pay up if your wait is longer, according to the U.S. Department of Transportation. If you arrive one to two hours late, the airline owes double the price of your ticket up to $675. If the airline makes you more than two hours late, it owes you quadruple the price of your ticket up to $1,350. There are some eligibility requirements to receive this compensation, according to DOT. First, you must have a confirmed reservation on the flight. Second, you must check in before the airline’s deadline — typically 10-30 minutes before a domestic departure (up to an hour in some cases) or up to three hours before an international departure. Some airlines consider checking in as being at the ticketing and baggage counter, but most consider this as being at the boarding area. Hopefully the compensation will ease the pain if our tips to keep you in a seat don’t work out. Your Turn: Have you ever been involuntarily bumped from a flight? How did the airline compensate you? Desiree Stennett (@desi_stennett) is a staff writer at The Penny Hoarder. She has never been bumped from an overbooked flight voluntarily or involuntarily.